Experience Azeroth as one of Battle for Azeroth’s new six playable Allied Races. Earn the respect of the Nightborne, Lightforged draenei, and other noble allies, and you’ll unlock the ability to create new prestige characters of that race. 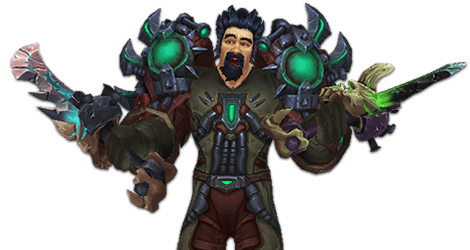 Once an Allied Race is recruited, you can rediscover Azeroth through a revamped leveling experience featuring zones that scale as your character grows in power. Create a new character and complete the full leveling experience to earn a distinctive Heritage Armor set—a lasting symbol of your dedication. Descended from Huln, brave hero of the War of the Ancients, the Highmountain tauren honor the spirits of earth, river, and sky. Though the Legion invaded their lands and sowed seeds of distrust between them, the tribes of Highmountain stand united once more. At long last they are ready to venture beyond their sacred mountain and stand beside their kin from Kalimdor, lending their nobility and strength to the mighty Horde. For untold millennia, the Army of the Light waged war against the Burning Legion throughout the Twisting Nether. The draenei most committed to their long crusade would undergo a ritual to become Lightforged, infusing their bodies with the very essence of the Holy Light. After finally achieving victory on Argus, the Lightforged draenei have undertaken a new mission: protecting Azeroth from rising threats and helping the Alliance push back against Horde aggression. Isolated behind a protective barrier for 10,000 years, the elves of Suramar grew increasingly dependent upon the arcane magic of the Nightwell. To protect this font of power, the leaders of the Nightborne struck a bargain with the Burning Legion that plunged their kingdom into civil war. After fighting for freedom from their demonic masters, the Nightborne seek allies in the Horde to help them reclaim their place in the world. Many have sought to harness the corruptive magic of the Void. Most who tried have fallen into madness. Determined to use this power for the good of Azeroth, Alleria Windrunner is the first mortal to succeed at defying the shadow’s whispers. 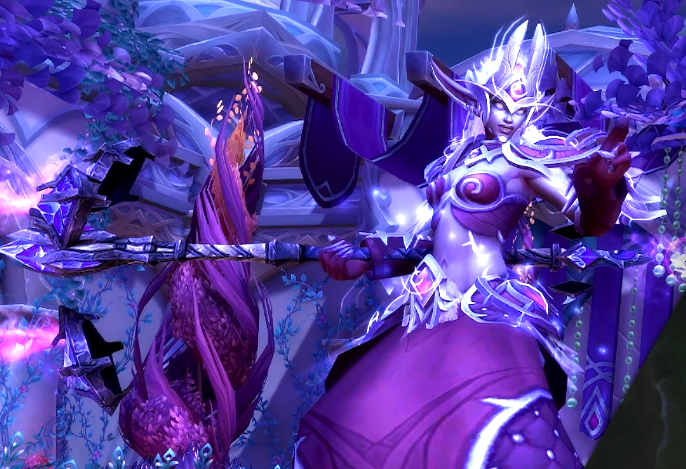 Coming to the aid of a group of her kin who nearly gave in to the darkness, Alleria has vowed to train these Void Elves to control the shadows within them and pledge their newfound powers to the Alliance.